Summer is an excellent time for recharging; it’s also an excellent time for finding new inspiration. NCTE members have written excellent books on a range of topics you might find interesting, and we’ve pulled together several new K-12 titles for your review. May is a perfect month for stocking up on these titles and others because we’re offering a 25% discount on all our books through the end of the month. Use the code APPRECIATE2018. Happy reading! This book gives teachers the background and strategies to make their teaching and support equitable for ELLs. 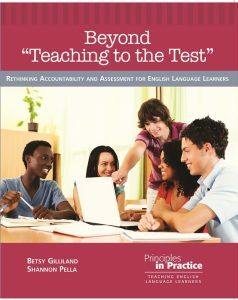 Examining how teachers can support learners’ reading, writing, and academic language development, and illustrated with examples of real teachers at work, the authors explain teaching for accountability, formative and summative assessment, and preparation for high-stakes testing, as well as provide suggestions for teaching, guiding questions for discussion, and resource recommendations. After-school programs focused on English learners, Alvarez suggests, offer a way for parents, teachers, and volunteers to come together to navigate school systems and the English language, share stories, and work to develop facility in reading and writing across languages. 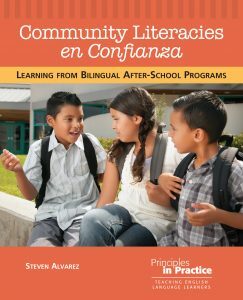 In Community Literacies en Confianza, Alvarez offers ideas for approaching, engaging, and partnering with students’ communities to design culturally sustaining pedagogies that productively use the literacy abilities students bring to schools. Read a sample chapter and learn more about the book and the writing process on the blog. 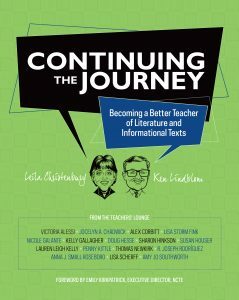 Aimed at accomplished veteran teachers, Continuing the Journey offers practical advice, encouragement, and cutting-edge ideas for today’s English classroom. Focused on literature and informational texts, this lively book (the first in a series) is a road map to professional renewal and to becoming a better teacher. Check out a sample chapter, and be sure to read an article about the book from the most recent Council Chronicle. if you like what you see, don’t forget that you can learn with Leila and Ken at this year’s Summer Institute! Reading Challenging Texts is the selection for this June’s NCTE Reads professional book club. We hope you will learn with us this summer! Learn more and register now. Relying on a sociocultural view of adolescence established by scholars in critical youth studies, the book focuses on classrooms from diverse contexts to explain adolescence as a construct and how this perspective of youth can encourage educators to reenvision literacy instruction and learning. 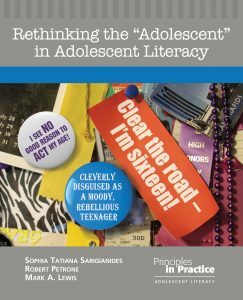 Working from and looking beyond Adolescent Literacy: An NCTE Policy Research Brief, the authors explore the “myth” of adolescence and the possibility of a curriculum that positions youth as experts and knowledgeable advocates fully engaged in their own learning. Read a sample chapter and learn more about the authors’ writing process in this blog post. 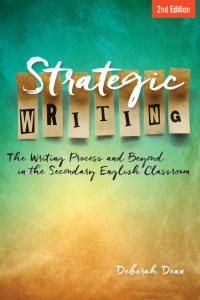 Read a sample chapter and learn more in Deborah Dean’s post for the NCTE blog. Engaging with critical questions such as What counts as language? and How can I know when a student is struggling with language?, Melinda J. McBee Orzulak explores how mainstream ELA teachers might begin to understand language in new ways to benefit both English language learner and non-ELL students learning in the same classroom. 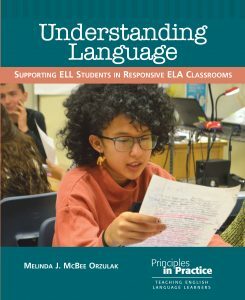 Offering supportive teaching resources and ways to notice and understand the strengths of ELL students, McBee Orzulak outlines strategies for respectful and rigorous instruction for all students as we consider our own cultural and linguistic expectations. Workshopping the Canon introduces practicing and preservice English language arts teachers to a process for planning and teaching the most frequently taught texts in middle and secondary classrooms using a workshop approach. Demonstrating how to partner classic texts with a variety of high-interest genres within a reading and writing workshop structure, Mary E. Styslinger aligns the teaching of literature with what we have come to recognize as best practices in the teaching of literacy. 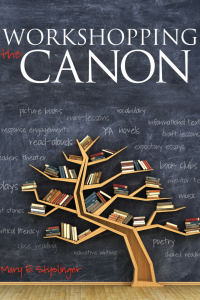 Read a sample chapter and learn more about why educators should workshop the canon in her blog post. 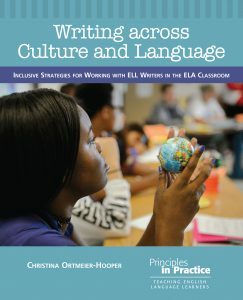 In Writing across Culture and Language, Christina Ortmeier-Hooper challenges deficit models of ELL and multilingual writers and offers techniques to help teachers identify their students’ strengths and develop inclusive research-based writing practices that are helpful to all students. 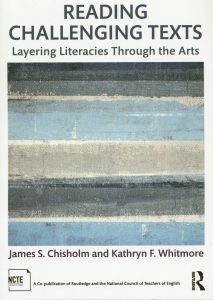 Through rich examples of these writers and their writing practices, along with “best practices” input from classroom teachers, this book provides accessible explanations of second language writing theory and pedagogy in teacher-friendly language, concrete suggestions for the classroom, guiding questions to support discussion, and an annotated list of resources.